Spikes have recently made it to the top of the list of things I can no longer resist. 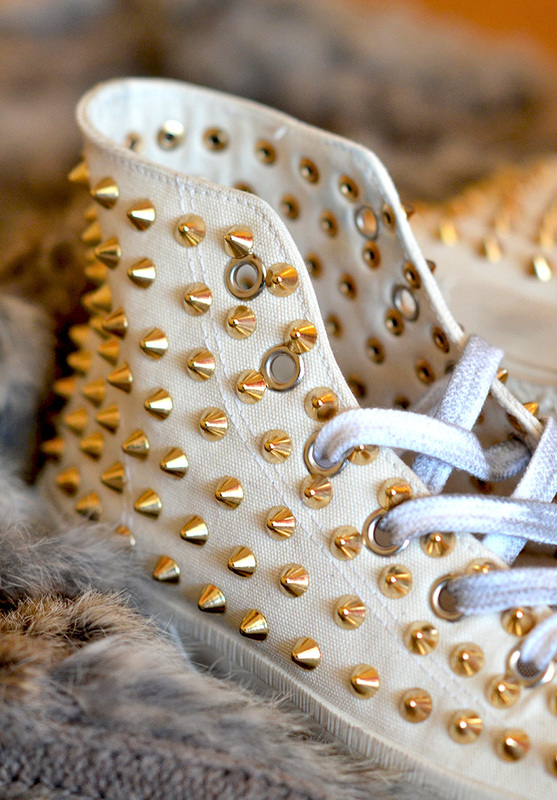 Shoes or clothing, I could never say No to something as edgy and intriguing as spikes. I'm afraid this post is proof that I've subconsciously started a small collection, which I don't see coming to an end anytime soon (or at least after I get my hands on a spiked leather jacket). Here are some shots of my most favourite spiked items. The sneakers you might remember from this. How do you feel about spikes?